I would stop at this marker on every visit to Green Hill Cemetery in an effort to decipher its inscriptions. It seems like letters would be fairly simple to read because they’re raised, but this was not the case. There was always some obstacle preventing me from making it out: the angle of the sun shining on the stone stumps, the lichen canopy, or the sense of rushed anxiety from people yelling just outside the chain link fence which borders the graveyard’s Jewish section. I could make out one word clearly, the name Joseph. A first name isn’t much help when trying to figure out who is buried somewhere. 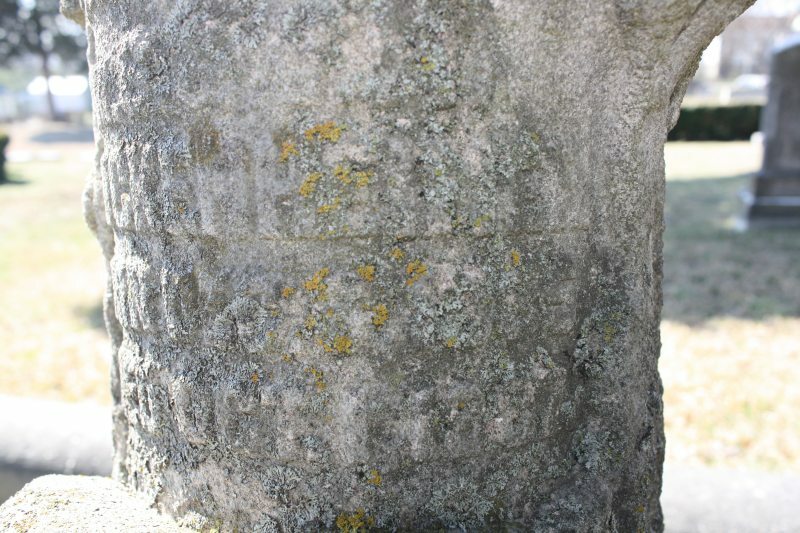 Because there were two stumps on the same marker, it seemed logical that this was marking the graves of two people, perhaps young people given that the stumps were not very tall. Each time I visited the grave I seemed to make out a little more of the wording. 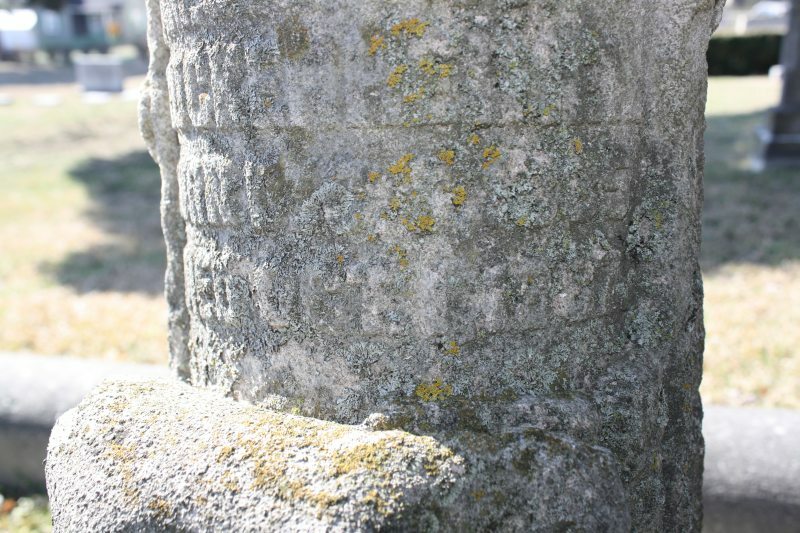 The person or persons to whom this monument belonged were in the Gerst family plot, but the surname was clearly too long to be Gerst. 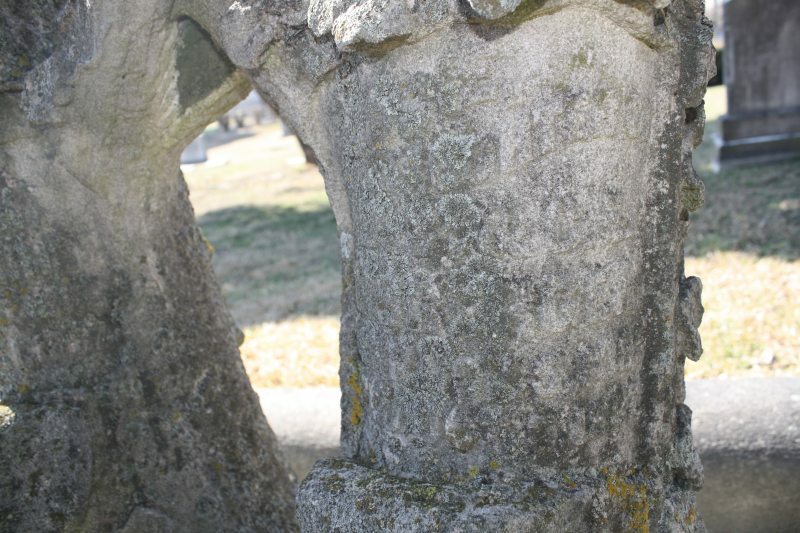 Then on February 10, all the cosmic forces seemed to be aligned perfectly for me to see and feel enough of the lettering to make out the last name on one of the stumps and enough of the death dates to ascertain that there were two people here and they both died in October 1887. I was elated that their death month and year fell into the time period when Green Hill’s mortuary reports were available. This could give me information on the causes of death for the pair. 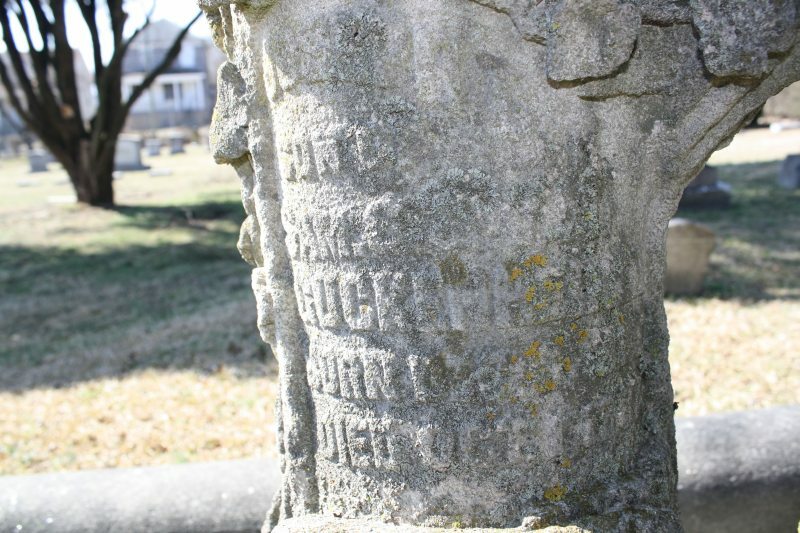 The more legible side belonged to Joseph Guckenheimer, the son of Sam. & V. Guckenheimer. The other side, which had more lichen growth and mostly shaded, appeared to belong to the “Daughter of”, but the surname wasn’t Guckenheimer. This struck me as odd because usually when you see children’s shared markers, they’re designated for siblings. 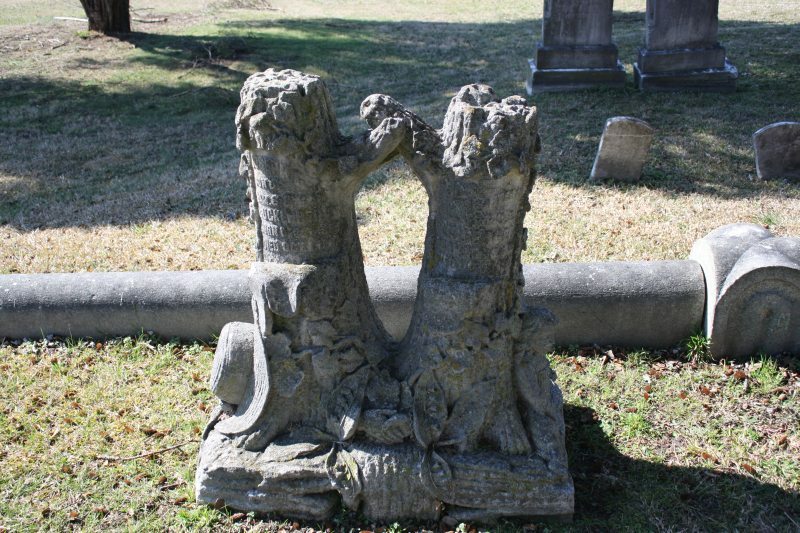 The next entry in the mortuary reports read, “Infant Daughter of D S & Carrie Lisberger place of death Main St 3rd Ward, Age about 2 years, Birthplace Danville, VA…she died on the 3 day of Oct 1887 and that the cause of her death was Diptheria W L Robinson MD. Undertaker W H Covy & Co“. Searches using various combinations of keywords on Ancestry and other search engines did yielded no results, so for the time being this child’s first name is unknown. Several days ago I made contact with someone on Ancestry who was researching the family of Virginia Gerst Guckenheimer’s second husband, former Savannah Mayor Herman Myers. (Samuel passed away in 1892. )1 Without my input it’s possible that little Joseph’s name might not have ever been added to Virginia’s branch of the family tree. I will continue to try to figure out what the Lisberger daughter’s name was. Such a beautiful little monument. It's sad that so many children had to die from disease back then. I am always thankful that my three daughters have grown up in an age where disease is not so much of a worry. I research graves in a effort to stop these people from being forgotten to time. The same with the children's graves. Great post.